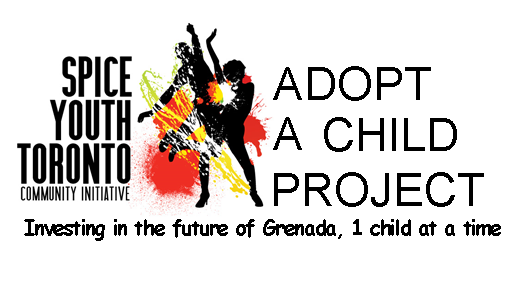 In keeping with our charitable and youth development mission, we have developed an exciting new program, an evolution of our annual Toy drive which provided toys to youth in Grenada in 2013 & 2014, The Spice Youth Adopt-A-Child program takes our mission one step further. Working along with the Ministry of Social Development, we have identified and ‘adopted’ approximately 10 youth, ages 0 – 15years who are in need, for a period of 3-5years. Our goal is to provide these youth and their families,’ assistance with school, hygiene and food supplies along with transportation assistance (for school) where applicable. We believe our future lies in the hands of our children. Through this initiative we hope to open a new world of possibilities to contribute to the lives of these children and their communities, offering them a brighter future. With the support of the community, we partner with the child and their family to transform a struggling family into one that is thriving. This program is a tangible investment in the future of Grenada – one child, one family at a time. Spice Youth Toronto will coordinate three (3) shipments of care packages to the selected children/families per year (August, December, and April). Packages will vary based on the needs of the child and/or household. Special needs such as transportation for school, school feeding programs or home repair will be coordinated directly with service providers. Accountability – How are the children selected? Children are recommended by the Ministry of Social Services and submitted to Spice Youth Toronto. Each recommendation goes through a rigorous vetting process by a committee consisting of SYT members, community leaders and professionals to assess eligibility, need and type of support to be provided. For more information on this program please contact program coordinator Kimron Corion at 647-895-5604 or email spiceyouthtoronto@gmail.com.